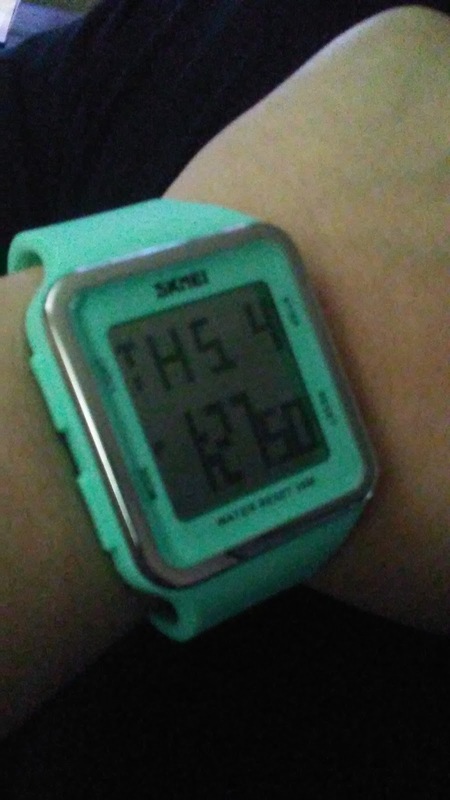 My husband is so slow, I often refer to the time he takes, as Jay time. For example: We are already ten minutes lat, speed up Jay time. Or You know he lives in Jay time. 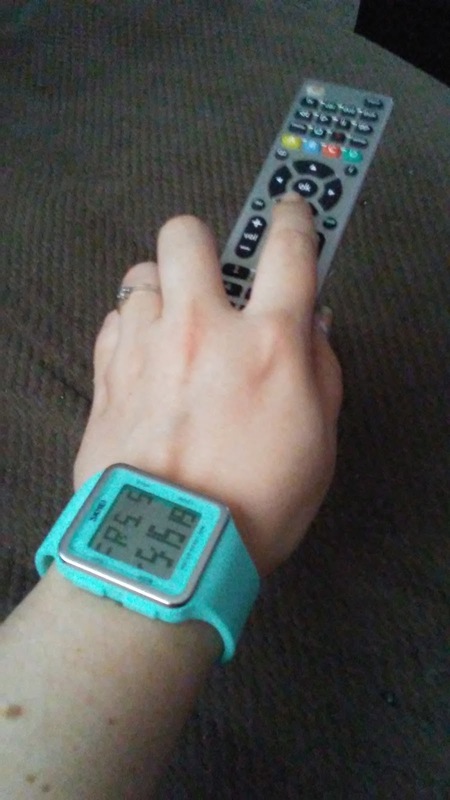 He has watches so I know that won't help, but if I have a watch, it makes nagging him to hurry so much easier. I just look down and time it. The great things about this watch are pretty noticeable. It has a silicone band, pretty color, and the big face. 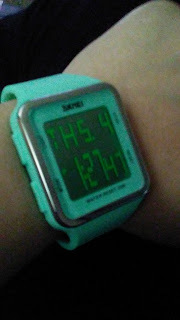 Plus it is digital so it is so much easier to know the time quickly. I am quite happy with this watch. I wear it everyday. But only here and there throughout the day. The same things I love about the watch, are also reasons I hate it sometimes. Your wrist will get really sweaty and the band will start to annoy your wrist. After that, the huge face that I love starts to dig into me. BUT... I have a weird sized wrist. I fall in between on the holes, so it is either loose or tight. So, you may not have any of those problems. Head on over and check it out on the Amazon page. Please check out the other reviews as well. http://www.amazon.com/gp/product/B01M6AAXPE. I received this product at a discount in exchange for my review.